Place your palms flat on the mat close to your lower rib cage. 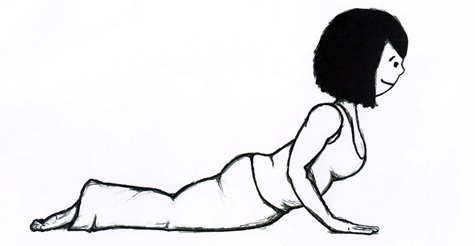 Draw the bottom tips of your shoulder blades into your back to create opening in your chest. Look straight ahead with a soft gaze or keep your neck long and curl your neck up to gaze up.